The Hastings Business Women's Network (HBWN) has grown from strength to strength since its inception in 1999. With a membership of approximately 200 members, and an average of 50 guests per networking event, HBWN is the premier business women's networking group in the Port Macquarie Hastings region. We have a proud history of encouraging, empowering and educating women in business with a diverse member base from a cross section of industry sectors and demographics. The HBWN Committee has a dedicated Sponsor Coordinator to ensure sponsorship agreements are creative, meaningful, impactful and deliver on your goals. Our Sponsorship Program is renewed annually (each Calendar year) with all packages open and available to HBWN Members and the broader business community. 2019 Sponsorship opportunities are now available. We are pleased to offer a tiered sponsorship program in 2019, offering a range of opportunities for your businesses to partner with the HBWN. As the HBWN Principal Sponsor, your brand will be positioned as an authority in your field and synonymous with HBWN for a two-year period. You will raise your profile as a progressive organisation and a valued contributor to the community. Partnering with HBWN through this premium sponsorship package aligns your organisation with our values and vision to encourage, empower and educate women in the Hastings region. As part of your two year commitment as HBWN Principal Sponsor you will be provided with sponsor exclusivity within your industry sector. HBWN Partners provide essential in-kind services that support the network to deliver ongoing benefits to our members. Sponsors of HBWN are offered the unique opportunity to align their brand with the values of HBWN, to connect their business with motivated and driven local business women, and to position as industry leaders who support and contribute to local businesses and business women. We are proud of our partnerships with local businesses and gratefully acknowledge their contribution and ongoing support to our network and members. The Hastings Business Women's Network is proudly supported by the following local businesses. Oxley Insurance Brokers(OIB) are the Mid North Coasts leading insurance broker with a history that spans 41 years originating in Port Macquarie. OIB quickly recognised over the years that common challenges dealing with insurance matters by local business needed better solutions. This need by locals was met through OIB's evolution into Business Insurance, Life Risk Insurances, Financial Planning, Premium Funding and a Workers Compensation advisory services for employers. Locally based brothers, Grant and Andrew Richmond are the Managing Directors of the company that now has offices in Forster, Taree, Port Macquarie, Kempsey and Coffs Harbour. The Port Macquarie office of Morgans was established in 1996 with a commitment to deliver excellence in financial planning and stockbroking advice. The practice has grown to become one of the largest, most highly qualified and experienced teams of professional Financial Advisers in regional Australia. Owned and managed by local advisers, we have no bank or fund manager interference to create potential conflicts of interest and we pride ourselves on providing quality financial advice driven by strategy - not product. Why study at CSU in Port Macquarie? When you study at CSU, you get an Australian experience like no other. Our coastal campus will provide you with the opportunity to be part of a truly unique Australian community. Situated in a laid-back coastal town with a 'no worries' attitude, you will be surrounded by beautiful Australian beaches, a friendly and welcoming community, brand new campus facilities, part-time work opportunities and wildlife you can get up close and personal with. When you choose to study with CSU you are not just another student, you become part of our family. 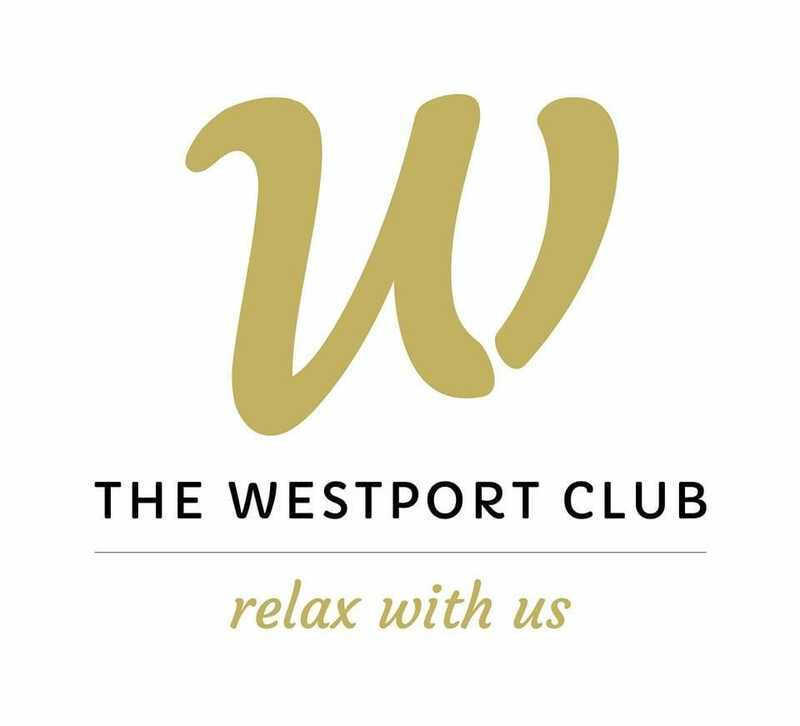 The Westport Club hugs the banks of the stunning Hastings River in Port Macquarie. With unsurpassed views, you look outside at the tranquility and you cannot help but be relaxed. The atmosphere inside is marvellous with dining, bar and entertainment choices that all make you feel like you're on an endless holiday. Launched in 2005, Focus is a well established monthly publication which embraces the local community and connects with its loyal readership with its beautifully designed coffee table style format. Focus is a free publication with must read content, and a preview into the many great events and programs that it supports in the local area. A multi award winning publication, Focus prides itself on being a active member of the Port Macquarie Business Community, and supporting local business networks, events, and charities. Direct Advisers is a boutique, privately owned financial planning practice. We have been providing tailored solutions to help clients achieve their financial and lifestyle goals for almost 30 years. As a privately owned practice we work for you, not for a financial institution. Our team of qualified and experienced financial advisers are passionate about building personalised, long term partnerships with clients, and our clients enjoy the comfort and security of dealing with people they know and trust. Men at Work provide labour hire, traffic services, training and assessment, NDIS, TMA hire. They are market leader in Labour Hire, Temporary Staffing, Traffic Management, a registered NDIS Provider, Training and Assessment, and Truck Mounted Attenuator (TMA) Hire across the North Coast of New South Wales. As the largest bank in Australia, the Commonwealth Bank realises that we have a great opportunity to help many people. Supporting the wellbeing of our customers, including those in vulnerable circumstances is part of their vision. The Regional and Agri-Business team of the Commonwealth Bank in Port Macquarie were privileged to be aligned with the HBWN as part of the inaugural Him in Heels walk to shed light and raise funds for a cause close to the values of the Commonwealth Bank. HBWN is grateful to the In-kind Partners who support our volunteer committee throughout the year. Their dedicated in-kind services enable us to deliver a professional experience at every touch point and maximise benefits to our members. At Snap Port Macquarie, we have spent decades in the trade of providing print, design and website services to the local businesses. We also know that marketing your business can be challenging. Our knowledge of the local industry and thirst for innovation have seen us continually evolving to address these challenges and the needs of our clients and their customers. We do this by keeping up with all the latest technology trends and providing fast, high quality and creative solutions for your print, design and website needs. Come and say hello to us at 110 William Street, we'd love to meet you. Parker & Co Communications combines public relations, marketing and advertising skills to deliver clever, creative communications campaigns. Whether it's building a brand profile, a writing or editing task, engaging with the community, increasing sales, dealing with the media or navigating through a difficult situation, Parker & Co Communications has the experience and expertise to assist. Principal consultant Michelle Parker has more than 15 years experience providing strategic communications advice and rolling out tactical programs for small businesses, large corporations, government agencies, not-for-profit organisations and industry associations. As your personal CFO, Amanda reports to you on your business performance, assist with day to day decisions regarding cash flow & investments, and prepare forecasts to give you a clear picture of where your business is heading. So you can get back to what you do best. Your Mini CFO has individualised packages to suit small to medium enterprises in a range of services including book keeping, payroll and forecasting. When you choose Percival Property, you are choosing a standard of service and professionalism that is second to none, a customised campaign to connect you with the best tenants or keen buyers, and an exceptional sale, property management and marketing team who will secure the very best result. Our exceptional communication means you work closely with our agents keeping you informed throughout the sales journey. Our strength is always obtaining the very best possible price and delivering top class results to our vendors. Communicating with your audience and clients takes time. Finding the right words to engage your clients can be difficult when you're so close to the subject matter. But by seeking a fresh perspective and outsourcing your marketing communication needs, you can run your business and do what you like to do best. As a copywriter Jody doesn't just write words. She'll guide you through your options in the marketing space and help you define what's best for your business. Being a photographer is one of the most rewarding jobs Alison can imagine as she able to capture memories of families with their loved ones during life's most special moments. She loves her clients to have input into each session and encourages them to be as creative as they like. Her goal is to provide her clients with beautiful and affordable portraits that can be treasured and enjoyed for many years to come. Allison offers a wide range of photography services specialising in family, baby/new born and pregnancy shoots, as well as special events and is able to offer studio or location shoots.